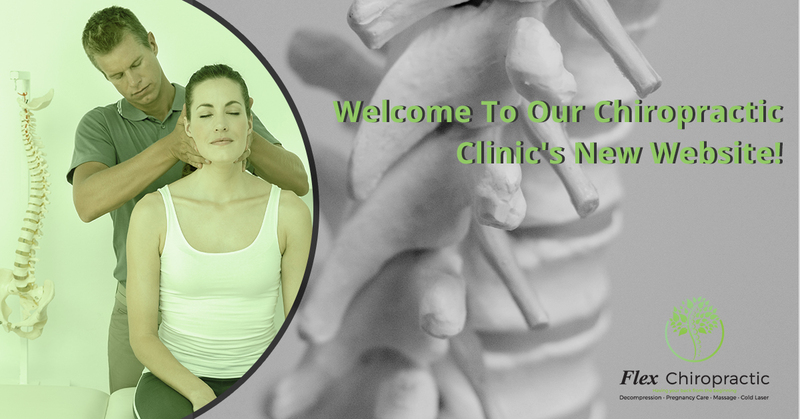 Welcome To Our Chiropractic Clinic’s New Website! We’d like to thank you for stopping by our new and improved website for Flex Chiropractic’s offices in Lexington and Columbia. For over two decades our doctors have been serving the people of South Carolina, helping them with a variety of ailments, including lower back pain, treatments for neck pain relief, and joint stiffness. We’re very proud of our chiropractic clinic, and perhaps we’re most proud of the continuing education we seek out as new and effective treatments continue to be developed. Let’s take a look at the many types of services we offer. You can’t treat a problem until more is known about it. We’ll perform an examination that’s specifically tailored to each individual. After all, someone might come in thinking that they’ve cracked a vertebra when in fact they have a bulging disk. Both are obviously problems that are of considerable concern, but they must be treated in very different ways. We’ll start off by talking with you to discover how and when the pains occurs. Is it chronic, or was it triggered by a very specific act? By finding out more about your medical history (and any family history that could inform the situation), we’ll be that much closer to finding out what’s wrong. Of course, there’s also the physical examination that can be very informative. We’ll perform a visual and manual examination of the affected area. By having you move in certain ways — or discovering that you are not able to move in certain ways — we can discover your range of motion and what maladies might be plaguing you. We can help you determine whether you are suffering from slipped discs, pinched nerves, disc bulges, and more. If the problem isn’t obvious, we can also employ the use of CT scans, MRIs, or x-rays to help diagnose the problem. We can also compare them to previous diagnostic imaging scans you’ve had to see where changes might have occurred. You won’t be surprised to learn that chiropractic care is our primary form of treating people. It’s in our name and is one of the most common types of treatments used to treat problems such as lower back pain and neck pain. Chiropractic care has been around for over a hundred years and has helped millions of people, and we’re proud to be a part of such an important part of our patients’ lives. If you’ve had chiropractic treatments before, you’re aware of the wonders that it can perform when it comes to neck and back relief. If you’ve never experienced it and are a bit trepidatious, you can put your mind at ease; it’s not as traumatic as you might think! We can help you reduce the amount of pain in your life. Spinal decompression involves a patient lying on a special table in an effort to relieve pressure on the spine. By slightly stretching the back and the spine, decompression works much in the same way as another type of medical procedure you might have heard about called traction. Did you know that pregnancy is one of the most common times for a woman’s spine to get out of alignment? Much of this is due to the new ways in which a woman must stand as her weight increases, and the many different ways in which she might try to sleep that don’t feel quite normal. Over the nine months, a lot can get misaligned in the spine. The good news is that pregnant women don’t have to suffer. We have extensive experience helping pregnant and new mothers get their spines and other joints back into alignment so that they can feel as good as possible. Ultrasound is often used in conjunction with other chiropractic methods to help patients relieve pain and increase mobility. It uses a small wand and conductive jelly to send the ultrasonic waves through the skin and into a disc or muscle. The purpose is to reduce swelling and increase blood flow to the affected area. There’s no pain or discomfort associated with the procedure. The word ultrasound might sound familiar because of the type of medical imaging that sees inside the body, but this type of ultrasound is different. There’s no image because it uses a different frequency and has no receiver head. Electrical stimulation involves having adhesive pads placed on the body and mild electrical impulses are delivered to the area in which you are feeling pain, whether it’s the legs, neck, back, shoulder, or knee. The typical goal of electrical simulation is to increase blood flow and reduce swelling in the area that ails you. Cryotherapy is a new and promising method of helping to reduce inflammation in the body. As you might know, reducing inflammation can not only help parts of your body that are hurting but also your internal organs. The idea of cryotherapy is to reduce the temperature of the skin very quickly. When this happens, the skin sends signals to the brain that it’s getting very cold very quickly. The brain responds by pumping the blood with more oxygen, nutrients, and enzymes. Endorphins are released as well. When the cryotherapy ends, this “super blood” is then pumped throughout the body via a process called vasodilation, reducing pain and inflammation. Cold laser therapy is a low-level laser therapy (LLLT) that works along the same lines as an ultrasound but uses a specific bandwidth of light instead. It’s called cold laser therapy because it uses non-thermal photons that are associated with the lasers you might be familiar with. These light waves interact directly with the cells, stimulating them. Many of our patients have experienced a reduction in pain, inflammation, and edema in the treated area. Everyone in our chiropractic clinic is dedicated to helping you get the most from your time with us. After we deduce what’s bothering you, we’re ready to employ every method at our disposal to give you the relief you need, both immediate and long-term. We’ve helped thousands of clients during our decades in business, and we’re proud to say that we’re able to offer more relief than ever before. If you’re suffering, we’re ready to help. Contact our Lexington office or Columbia office today!